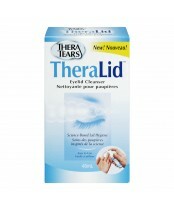 TheraTears brand provides a comprehensive, science-based solution to your dry-eye problem. 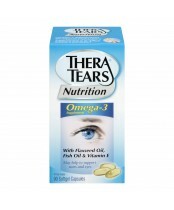 TheraTears brand includes a range of topical drops for dry eye, an omega-3 nutritional supplement for dry eye and a gentle & effective eyelid cleanser. All TheraTears eye drops provide real dry-eye relief because each drop replaces the water lost by dry eyes, while providing your eye surface with the electrolytes it needs. In fact we hold the patents on the electrolytes in the human tear film. That means you get dry-eye relief that really works.